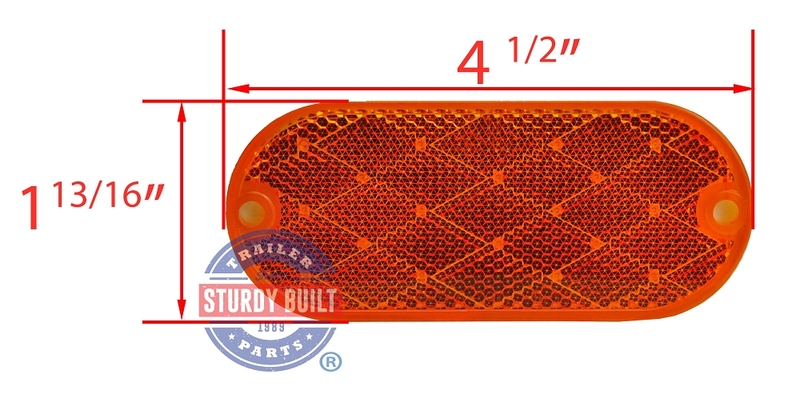 The Oval Amber Reflector with Adhesive Backing is a great addition to your boat trailer or utility trailer. They are great to have as added visibility to other drivers especially at night or if you have an emergency and lose your lighting. They are highly reflective and can be seen from multiple angles. They install using the 3M adhesive backing on its own or you can also reinforce the installation with screws through the pre-drilled holes on either end. I bought 5 of these to replace the defunct lights on my slide in camper. They stick REALLY well, are good quality, and were easy to install. I used the original #8 screws to do so.